We can all agree that Argan almond butter is pretty much the best food that exists on the planet - apart from being super nutritious and good for you, it’s also amazingly easy to incorporate into a quick midday snack. This article is for all of you out there who shiver in fear at attempting those insanely complicated cooking recipes that you see on Pinterest. We know you can’t afford to spend hours slaving in the kitchen just to whip up a snack - so check out our round-up of 6 easy Argan almond butter recipes below! 3 ingredients, guys. You can’t get any simpler than that. Slice your banana length-wise, slather on your Argan almond butter, and then top it off with your favorite granola mix. Pro-tip: If you need to cool off from the hot weather, make up a whole batch of these and stick ‘em in the freezer. A few hours later, you’ll get to enjoy your yummy frozen Argan almond butter bananas!Pro-tip: If you need to cool off from the hot weather, make up a whole batch of these and stick ‘em in the freezer. A few hours later, you’ll get to enjoy your yummy frozen Argan almond butter bananas! To prep, preheat your oven to 350 degrees and line two baking sheets with parchment paper. Whisk together your flour, baking soda, and salt; then use a mixer to combine butter, argan almond butter, sugar, egg and vanilla. Add your flour mixture to the creamed butter and sugar, and mix on a low speed until they’re combined. From there, stir in your chopped pecans, coconut, and chocolate chips, and use the mixture to make 1-inch balls of dough. Place on the baking sheets and bake for 12-14 minutes - and that’s it! This smoothie tastes so good (and is so easy to make), you’ll never pay for a smoothie in restaurants again. How easy is easy? All you have to do is combine a frozen banana, almond milk, argan almond butter, protein powder, cinnamon and ice cubes and blend till smooth. Blenders are magic, y’all. Ever stopped past the window display of one of those swanky health food stores and seen similar energy bites being sold at a few dollars a pop? Don’t be a sucker and pay for something so overpriced - when you can easily make it at home! 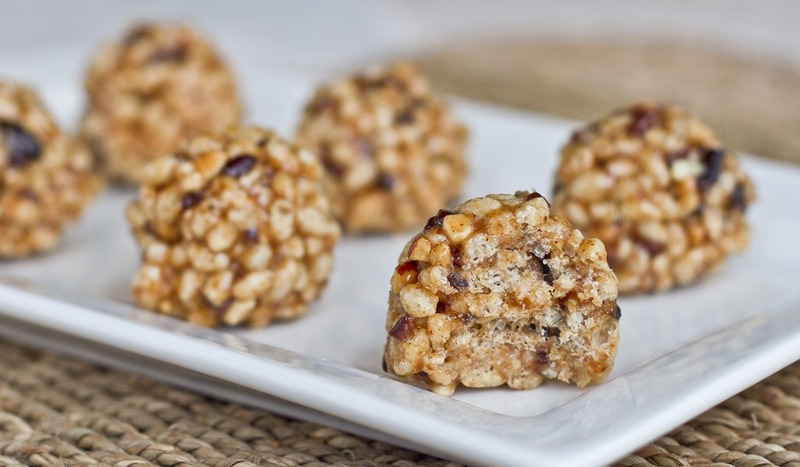 Simply combine rolled oats, flax seed, chia seeds, cinnamon, coconut flakes, raw honey, argan almond butter, vanilla extract, and dark chocolate chips, and roll into 1 inch balls. These are no bake bites - so place them on parchment paper, pop them in the fridge, and they’ll be done in 2 hours! This argan almond butter dip is endlessly versatile, and will compliment your apple slices / celery sticks / crackers perfectly. All you need is argan almond butter, cream cheese, and cinnamon. Also: if you’re looking for an easy to make snack to bring for potluck sessions or picnics, this dip is a surefire winner. Simply scale up the amount of ingredients accordingly! We don’t see the need to go fussing around with technically difficult recipes that call for a million ingredients, when you can achieve something equally delicious by sticking to the basics. This argan almond butter toast recipe, for example, is a perfect illustration of how something simple and pared down can still be incredibly delicious. Spread your Argan almond butter atop a slice of toast, before you spread a second layer of chocolate spread. Top it off with some sea salt if you’re feeling fancy, and finish it off on either a stovetop or an oven. Need to get your hands on some Argan almond butter so that you can start trying out these awesome recipes? Check out Argania Butters, which are gluten-free, GMO-free, dairy-free, and extremely delicious!